If you're seeking one fundamental resource which inspires both academic and personal discovery in the pursuit of higher education, The Ultimate Summer Program Guide: For High School Students is for you! 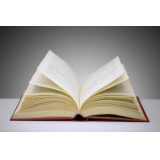 A roadmap to the college admissions process, this book is a powerful and distinctive planning strategy guide that accounts for academic and personal self-exploration. With the power to make a student's college application stand out, ability to assess campuses, and the chance to discover a career path, this is an essential resource for any student no matter their college or career path.It's no secret that college costs are getting higher while admissions rates are dropping. Students and parents are faced with growing fears that higher education might not even be worth it in the long run. 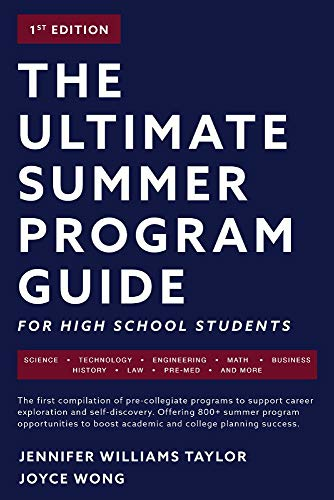 With the release of The Ultimate Summer Program Guide: For High School Students, readers will find a better way to prepare for one of life's largest and most impactful decisions. As the academic industry's largest, most extensive publication dedicated exclusively to summer programs, it's an essential guide for every prospective college student and family. •Do I really know what my major of interest entails? •Do I even know what other majors are out there? •Will I like living away from home as much as I hope I will? •Does my desired campus atmosphere support my learning needs? •Am I really ready?Very few college resources address these types of questions, much less by virtue of fingertip access to experiences that provide the answers in context. Unlike the majority of college resources, which are designed for students who know exactly what they want to do, this guide provides a connection to trialing colleges, careers, and communities, which in turn aids in self-reflection and educational planning. The diverse and far-reaching offerings enclosed within The Ultimate Summer Program Guide: For High School Students are intended to give students a glimpse into what they think they want, and question what else there might be. Those who apply for and complete one or more summer programs using the information provided will no doubt join the ranks of the most academically, socially and contextually prepared college applicants. In addition, they will have gained an unrivaled and distinctive edge that makes their application stand out.